The next evolution of T-Shirts is here! 100% poly performance Bones T-Shirt. 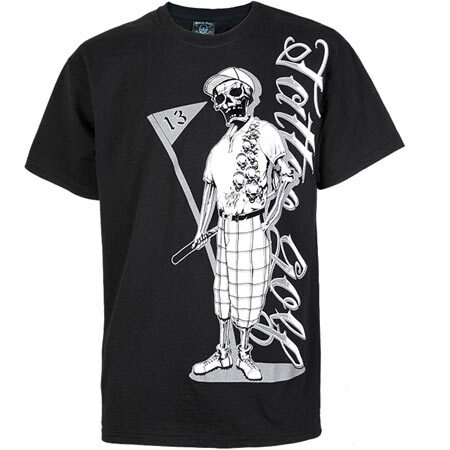 Our favorite skeleton is featured here and of course he's wearing a Tattoo Golf polo shirt! This tee feels smoother than cotton with moisture wicking properties just like our hi-performance polo shirts! Tag Free Label for zero-neck irritation. Clean and classic styling on this slick T will make a statement both on or off the golf course!